I was perusing my liquor cabinet and realized I have way too many heels sitting around, and of whiskies I haven't even reviewed yet. 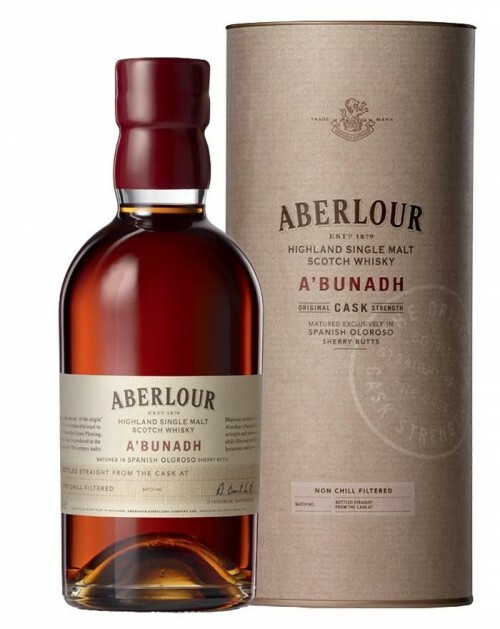 Apparently, I'm buying bottles, enjoying them over time (this one has been open for at least a year, and it's the very last dram left) and then desperately hanging onto that final drop....and realizing I haven't written it up yet. Pathetic....but it's a good problem to have. So I'm going to try to get through them over the next few reviews (which I have to be more on top of). The colour is a dark and slightly cloudy copper (I suspect it's a bit cloudy as my house is a bit chilly!) On the nose I am immediately reminded of a rum-soaked, raisin-filled Christmas cake, with tobacco leaves, thawed frozen raspberries and bruised mint. As you would expect, massive Oloroso. Smoked paprika. Over-steeped chai tea. A hint of poached pears - yes, there are some subtle notes here. A drop of water brings out furniture polish and wood smoke. About what you would expect from A'Bunadh. On the palate there are more raspberries, with big baking spices (think Angostura bitters), baked apples, old leather and cayenne pepper. Obviously huge sherry notes. Surprisingly thin mouthfeel, but the oak tannins pull nicely. Water smooths things out a little. The finish is medium length with bitter dark chocolate and red liquorice. I haven't had this expression in a while, so it's hard for me to say whether or not this is one of the best ones I've had; but it's delicious, though not as creamy or as rich as I would prefer. Despite the high strength, it actually doesn't need water to be easily drinkable. Tasting it next to Batch 39 (59.8% ABV), though, it doesn't really compare. The 39 is richer, more luxurious (and seems to have more alcohol, even though it really doesn't) and has more of those leather and oak notes that send it over the top (I scored it a 94). Still, you can rarely go wrong with this expression. A'Bunadh is one of my all time favourite expressions. I've tried 11 actual batches plus a dram from a bottle of batch 28 that was clearly not A'Bunadh (but that is another story, already told). So far my favourites have been 33, 44 and 47. Since I turned 44 I've been opening a new batch to match my age, and not tasting ahead. I've stopped trying to "buy ahead" for each year because I don't drink it as much as I used to - I used to go through a bottle a year and now it's less as I drink more other stuff. So I don't have a 56 and I haven't tried the 39. The next one I'll open is the 49. I have enough 46 (below average) and 47 (above average) to last me the next 14 months. I keep an "A'Bunadh library" of all the bottles I've opened (except the 33, but I have another bottle). One day I will have a literally horizontal tasting. That said, I enjoy reading about anyone who enjoys this consistently good malt. 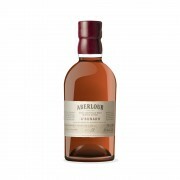 i loved this whisky when i tried it last week axtually. i needed to add about 3 drops of water to smooth everything out and soften the edges. after that it was pretty near perfect. @Nozinan impressive whiskying. i won't spoil anything for you but I had a #50 last week and it was very good.